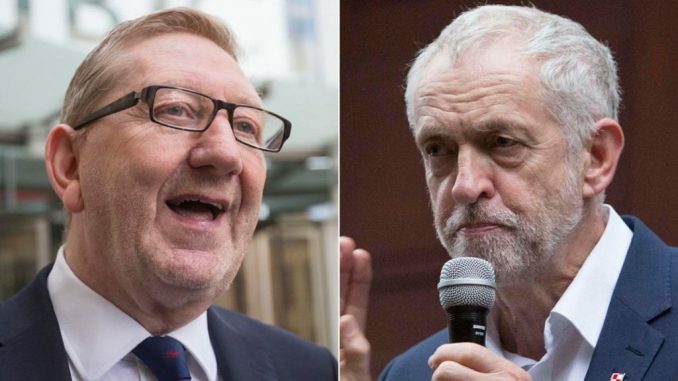 Len McCluskey, the head of Britain’s largest trade union says that security services are involved in “dark practices” in an attempt to “stir up trouble” for Jeremy Corbyn. The Unite General Secretary suggested, in an interview with the Guardian, that intelligence agents were posing as supporters of Corbyn to intimidate MPs on social media in an attempt to cause trouble for the Labour leader. He believes the“dark practices” would eventually be uncovered by the 30-year rule, under which classified documents are released into the public domain three decades after being written. The Labour Party has been plagued by a torrent of online abuse targeted at Labour MPs conspiring to oust Corbyn. McCluskey, a staunch ally of Corbyn, said the “dark practices” by the MI5 and others would be unveiled in classified documents by 2046 when intelligence files on current affairs are opened. “Do people believe for one second that the security forces are not involved in dark practices … the type of stuff that we ultimately find out about, under the 30-year rule?” he said. “We found out just a couple of years ago that the chair of my union then, the Transport and General Workers Union, was an MI5 informant at the time that there was a strike taking place that I personally as a worker was involved in. [In] 1972, I was on strike for six weeks,” McCluskey said. He also said that he believed MPs who had reported intimidation, including death threats, were exaggerating the extent of those threats.